In conclusion, physical laws indicate that equal amounts of matter and antimatter would have been created in the proposed ‘big bang.’ Therefore missing antimatter in the universe should challenge the ‘big bang’ theory, an implication none of the authors apparently is willing to entertain. Taubes, G., Theorists nix distant antimatter galaxies, Science, 278:226, 1997. Hellemans, A., Putting antimatter on the scales, Science, 280:1526, 1998. 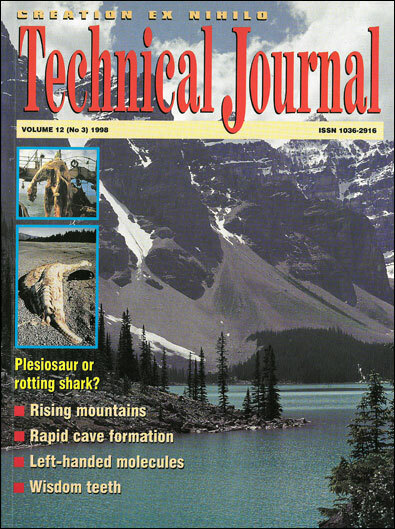 Cohen, A.G., De Rújula, A., and Glashow, S.L., A matter-antimatter universe?, The Astrophysical Journal, 495:539–549, 1998. Cohen et al., Ref. 4, p. 539.